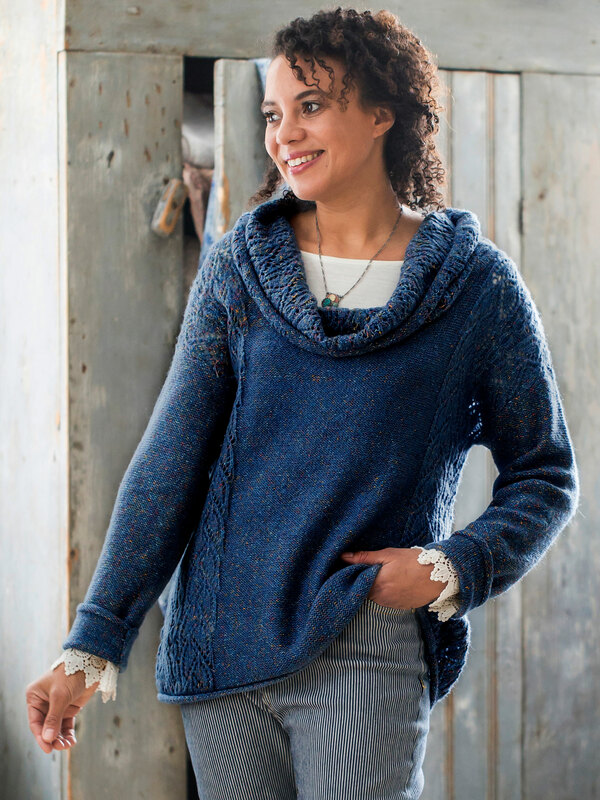 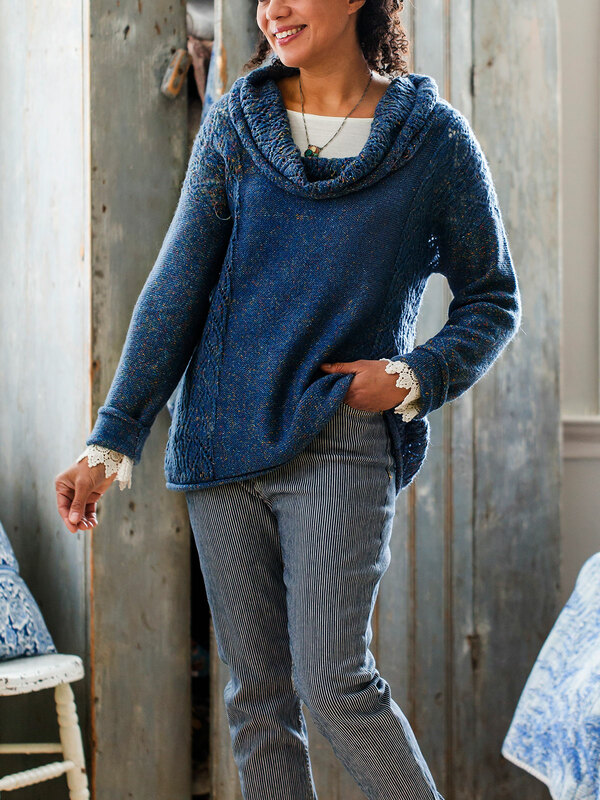 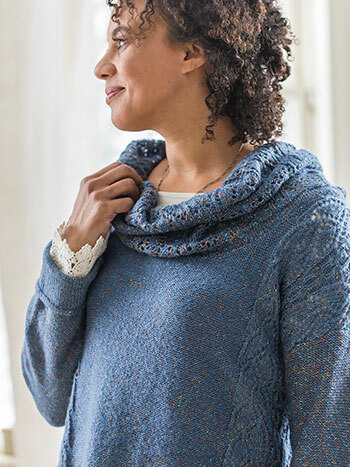 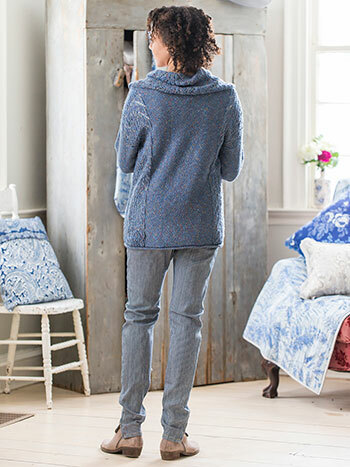 A sumptuously soft, wonderful knit with an artful design on the cowl neck and at the sides. 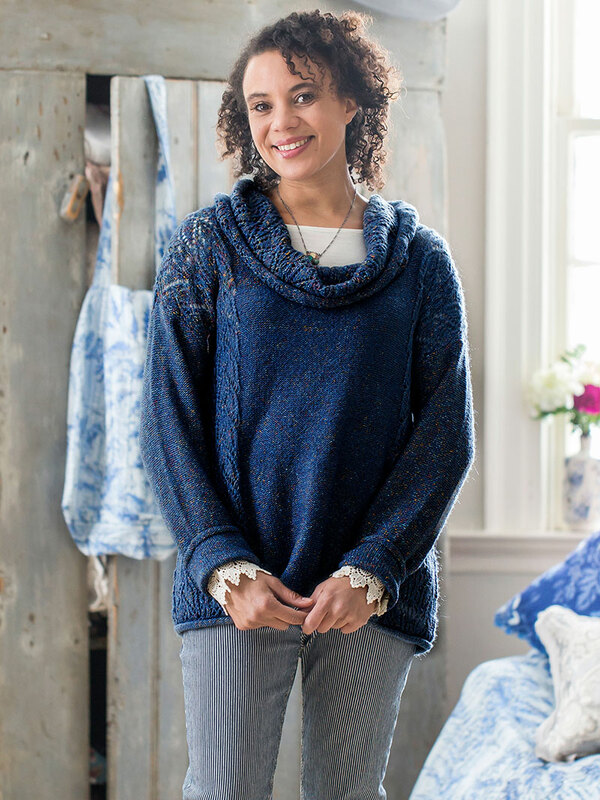 The Rose Marie Cowl Neck Sweater channels classic elegance while maintaining a form and feel that is without compare. 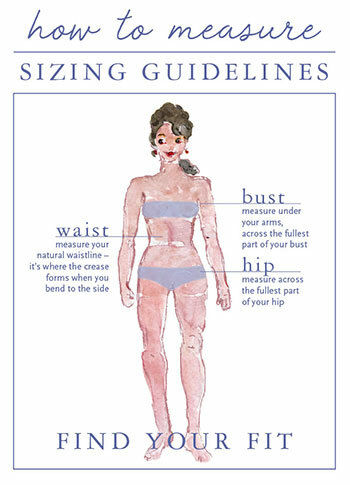 Actual color of sweater is a more saturated blue than picture indicates.